White kitchens have been around for a really long time and are very popular, but they can seem a little standard at times. Some might even venture to say "cold." White kitchens happen to be my favorite of all kitchens. And I think it's because white seems clean, crisp, fresh and most of all...did I say clean! Which is what you want for your kitchen, right? But how do you bring warmth and personality to your white kitchen? 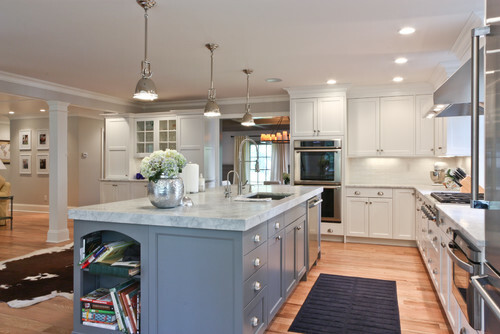 Here are a few simple ideas that will warm that white kitchen right up! Start by warming things up with a creamy cabinet finish instead of stark white. Then bring in brown tones with a darker floor, chairs and window treatments. Or go even further and add an island in a different color. How about adding pops of color to brighten your white kitchen. In contrast to the white cabinets the colors really stand out! 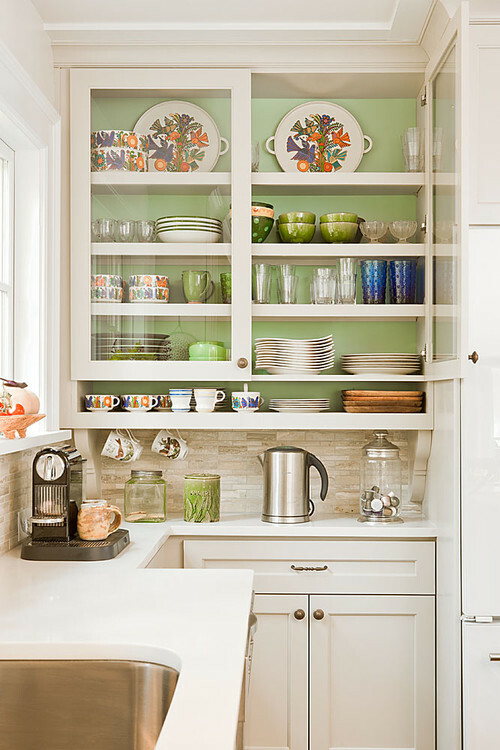 Painting the inside of your existing cabinets is a quick, economical way to add color to your white cabinets. 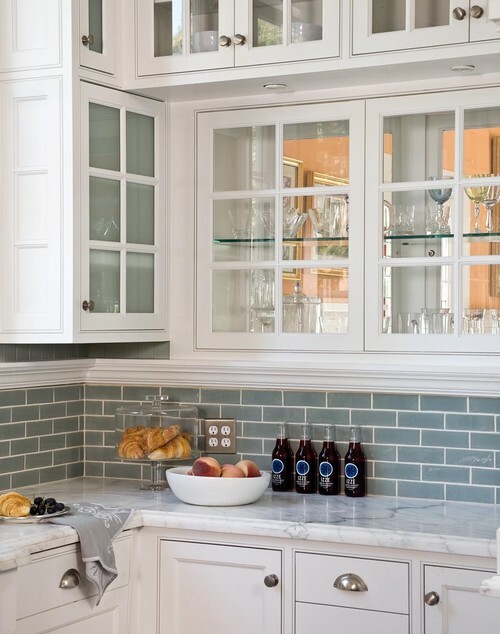 And lastly think about a colored tile back splash. It's an easier solution to change out just your back splash then replace all your cabinets and it will add that splash of color! 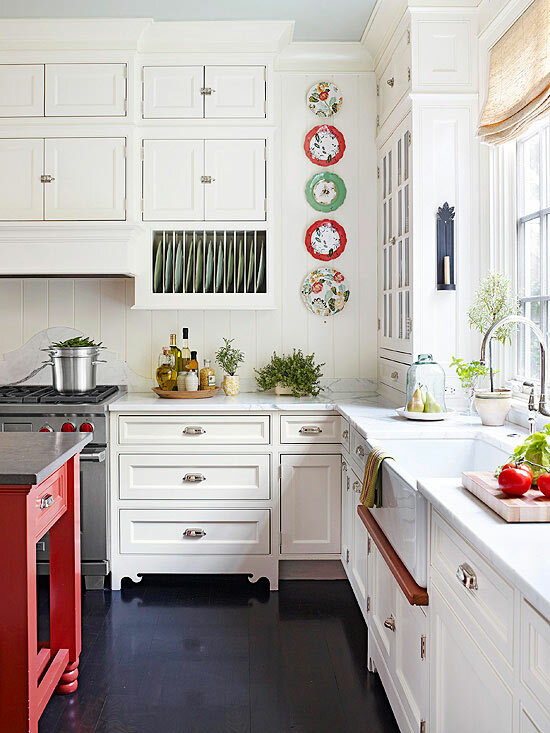 Are you feeling the need to warm up your white kitchen? Later in the week I'll be sharing some exciting news so make sure you check back!